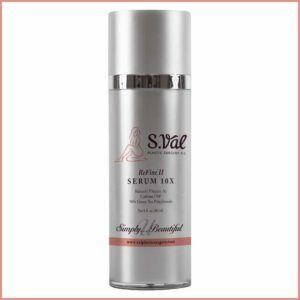 Dr. Val said that this daily use of the products would lighten my hyperpigmentation. I didn’t see any changes for the first couple of months. She insisted that I continue to use the products as indicated. I did and between months 3 and then 4, I started to see the dark areas almost disappear. I love these products! Word of advice…. You must be patient, but if you follow her directions your skin will lighten up and become luminous-looking!